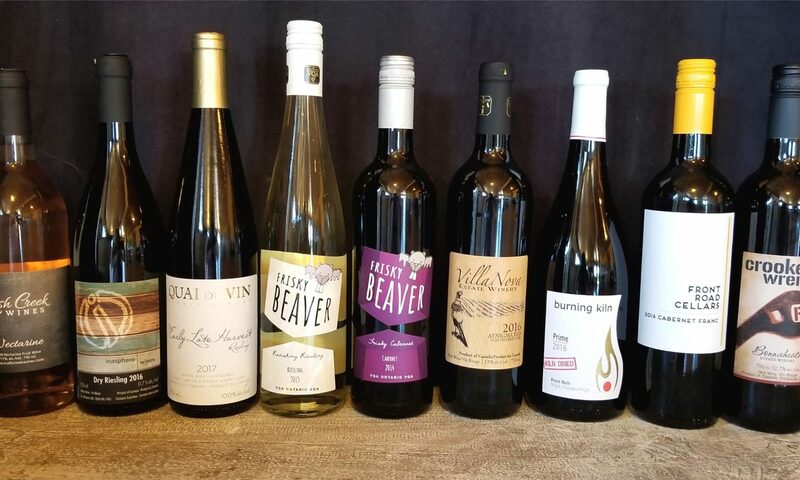 The Ontario South Coast Wineries & Growers Association (OSCWGA) encourages those with interest in developing the wine sector in the south central Ontario region to join the association. Click here to become a member or join through Paypal! As a member of the OSCWGA, in addition to raising the profile of the region as a top wine producing area, members will be able to increase their individual business profile and exposure to the public; government and industry in a co-ordinated, discernible way. The wine market is a highly regulated industry. This regulation results in rules and guidelines that can restrict opportunity, create an unfair playing field, and impose significant business cost. Individually, advocating for change can be a daunting task. As a member of the OSCWGA you can work together with like-minded entrepreneurs and use your collective voice to effect positive change. Your voice will help shape the development of individual advocacy positions and your support will ensure the collective voice is heard. Together, the members of the OSCWGA can make a difference. Good decisions are based on solid information. Members of the OSCWGA will work together to attract the top minds in science and the wine industry to study opportunities and restrictions in Ontario’s South Coast. With this information at the disposal of all members you can make better business decisions and help attract additional capital to the industry. Members will be able to pool resources to access research and development through regional, provincial and federal funding programs. Regular meetings with your colleagues will help develop strong relationships and open communications. Together, members can benefit from the knowledge and experience of their neighbours so that together you can move forward faster. Interactions with other growers and wineries, suppliers and other interested parties will be facilitated through OSCWGA supported events. Members will have the opportunity to showcase their business in regional, provincial and national shows. The OSCWGA will work to market Ontario’s south coast as a new wine region. This strategy will amplify the efforts of individual members and help attract people not just to one establishment, but to an entire wine region. Becoming a member of the OSCWGA will ensure your inclusion in these efforts, helping your business access new and larger markets. Specifically, members will be able to use the OSCWGA logo and paraphernalia as part of their marketing efforts, will be included in the OSCWGA website, and will have opportunity to promote their products at OSCWGA sanctioned events and activities. Members will have the opportunity to be included in co-marketing efforts with other associations in the region in the development of agro-tourism. By association with the OSCWGA, members will have access to funding programs not available to individuals. Support for the activities of the association through government and industry-based funding programs will elevate the sector and provide opportunities for growth. The OSCWGA will operate from time to time workshops, seminars and other events designed to increase the knowledge of those in the association. Topics will be diverse and will target many of the aspects of developing a growing wine region. These will range from agro-nomics to business and financial management to marketing and sales. In addition, the OSCWGA will host industry speakers who can impart their knowledge and bring their networks closer to Ontario’s South Coast. From time to time, members and associated groups will offer discounts to other members to encourage the development and expansion of wine productions in the region. These will be promoted through OSCWGA marketing materials, including the website. For inquiries on how to become a member or if you require further information on our association, please send us an email and we will reply. OSCWGA is an incorporated “not-for-profit” corporation with a formal organizational structure with members who are growers, wineries and a diverse collection of other dedicated professionals and interested trade persons. Each member is committed to the development of a new and distinct agricultural and winery region that will be associated with other large commercial and tourism initiatives.